The variation in polymorphic DNA (RAPD and minisatellite) and protein markers was compared for nine Russian chicken breeds differing in morphological and productivity types and in origin, three European egg breeds, and three meat breeds of the Asian origin. Genetic diversity indices were calculated for each breed group and each marker type and were used to construct dendrograms of genetic similarity. In all breed groups, minisatellites and RAPD markers revealed higher genetic diversity as compared with protein markers. 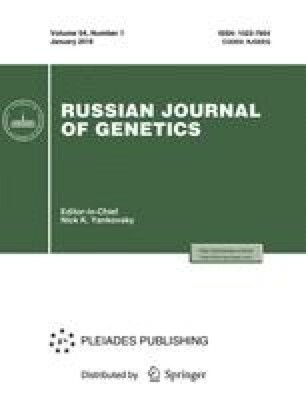 With any type of markers, genetic diversity of the Russian and Asian meat breeds proved to be significantly higher than that of the European egg breeds. The differentiating potentialities of molecular and genetic biochemical markers at the breed level and the origin of the Russian chicken breeds are discussed.